Simon & Schuster, 9781501159466, 176pp. According to a LinkedIn survey that polled 8,000 professionals, the second most popular childhood dream job for respondents was a veterinarian. It’s a career that appeals to many, due to its involvement with animals and association with helping and doing good. Still, much of the day-to-day elements of the job are not known by the wider public. 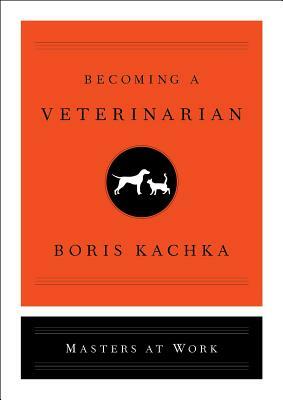 This series, and individual guide, provides valuable and relevant information about what daily life for a professional veterinarian is like, and will be a vital resource for anyone interested in pursuing the path. Is there such a thing as a typical veterinarian? Journalist and author Boris Kachka sets out on a journey, determined to discover how to turn a childhood dream into a real career. Becoming a Veterinarian is a behind-the-scenes, honest, and inspiring look at the day-to-day life of a veterinarian through the eyes of four people who have made this career their life’s work. There’s Michael, who thought he would be an architect, but instead works with urban pets at the ASPCA in New York; Elisha, who studied dance before she began treating cows, cats, and horses; Idina, who was injured in a car accident and was forced to find a second career; and Chick, who was earning a Masters in economics but turned to veterinarian science after he began working nights at an animal hospital. With each, Kachka dives into every element of the job: science, surgery, financials, finding a program, and everything in between. Boris Kachka in the author of Hothouse: The Art of Survival and the Survival of Art at America’s Most Celebrated Publishing House. He is the Books Editor at New York magazine, where he has also been a writer covering books, theater, film, and other cultural industries and personalities for many years. He has also contributed to the New York Times, GQ, Elle, T, and Condé Nast Traveler. He lives in Brooklyn, NY, with his wife and son.